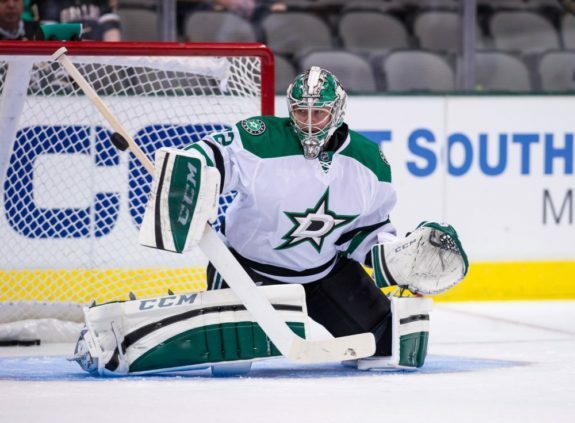 Big Ben is coming to Big D.
Dallas Stars General Manager Jim Nill took not a small step, but a giant leap toward fixing his club’s goalie situation Tuesday afternoon, acquiring exclusive negotiating rights to Ben Bishop from the Los Angeles Kings. In exchange, the Kings received Montreal’s fourth-round pick in the 2017 NHL Entry Draft, which the Stars previously obtained in the Jordie Benn trade. The six-foot-seven Bishop, the tallest goalie in the NHL, will become an unrestricted free agent if he doesn’t reach an agreement with the Stars before July 1. Boilerplate disclaimer aside, both parties want to get the deal done; it’s just a matter of dollars and term. The trade, a year in the making, marks a return to the Dallas/Fort Worth metroplex for the lanky netminder. In 2004-05, an 18-year-old Bishop backstopped the North American Hockey League’s Texas Tornado en route to their second of three consecutive Robertson Cup wins. Selected by the St. Louis Blues in the third round of the 2005 NHL Entry Draft, the big goalie spent three years honing his craft at the University of Maine before turning pro. After brief stints with the Blues and Ottawa Senators, Bishop blossomed into an elite starting goaltender with the Tampa Bay Lightning. In three full seasons as the Lightning’s starter, Bishop earned two top-three finishes in Vezina Trophy voting and was named to the 2015-16 NHL Second All-Star Team. Also in 2015-16, his 2.06 GAA led the league. The Lightning’s salary cap crunch last season, combined with a long-term injury to Kings starting goalie Jonathan Quick, led to Bishop’s cross-country trade last February. Though the Kings reportedly contemplated re-signing Bishop to create a dynamic duo with Quick, a front office shakeup and their own salary cap woes put an end to those plans. The Stars’ acquisition of Bishop means that either (or perhaps both) Kari Lehtonen or Antti Niemi will move on, one way or another, in the coming weeks. Both netminders struggled last season, but Niemi was much worse: Of 54 goalies who played at least 20 regular-season games, the quiet Finn ranked 53rd in both save percentage (.892) and GAA (3.30). Expect the Stars to buy out the final year of Niemi’s contract immediately following the June entry draft, resulting in a charge against the salary cap of $1.5 million for each of the next two seasons. Whether or not Lehtonen plays out the final year of his contract as Bishop’s backup is less certain. A buyout is not as attractive an option for the Stars’ highest-paid goalie. Lehtonen’s salary exceeded his cap hit for the first four years of the deal, so an additional $900,000 would be added to the cap charge in event of a buyout. The resulting $2.57 million charge in 2017-18, followed by $1.67 million in 2018-19, would combine with a Niemi buyout to produce an uncomfortable amount of “dead” cap space for the next two years. The odds of the Vegas Golden Knights selecting Lehtonen in the expansion draft are slim, so a trade might be the only viable option. The final year of his contract carries a $5.9 million cap hit, but the veteran goalie is only owed $5.0 million in actual salary. Included as part of a package, Lehtonen could be a welcome addition to a cost-conscious club with plenty of cap space. 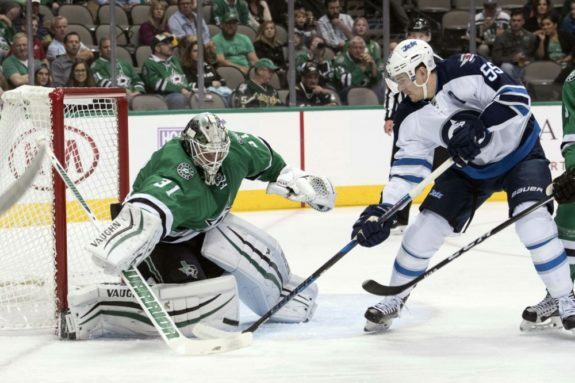 If the Stars move both Niemi and Lehtonen, they’ll have to find a suitable backup for Bishop. Whether that’s a savvy veteran, like Brian Elliott, or an up-and-coming Millennial, like Joonas Korpisalo, remains to be seen. One thing is certain: Nill must get it right this time.